Until about two years ago, I’d been using USB2 drive docks for off-site backup. When USB3 came out, I switched over to the USB3 docks. The docks would randomly make drives unreadable, and occasionally, even unfindable by the Windows Disk Administrator. They would stop in the middle of writes for no apparent reason. They would need to be power cycled. Some wouldn’t support 8 TB drives. In short, they were a big pain. You want to trust your backups, and these docks were making me deeply suspicious of them. And it wasn’t just one or two docks. I went through nine or ten. Many didn’t even pass my initial test, which was a complete 8TB backup followed by a complete restore. Well, I’ve now found some devices that appear to be reliable. I’ll tell you about them in a minute. But first, why am I posting this here, when I’ve got a blog that caters to the computer nerds among us. The reason is that backup is so important to photographers, and I want you all to see this. Maybe another reason is that there have been so many long, failed tests that have preceded my finding hardware that works that I want all that work to be more meaningful than if I kept it for just my personal use. 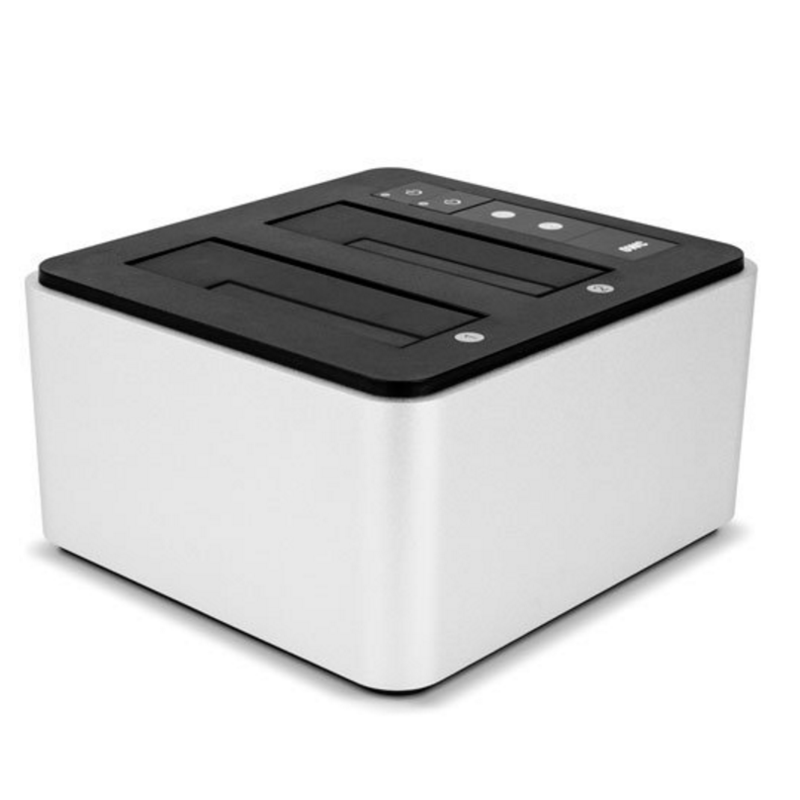 OWC Drive Dock USB 3 – Dual Drive Bay Solution — $70. This is the only toaster-form-factor USB3 dock that’s been reliable for me. It’s quite a nice little piece. 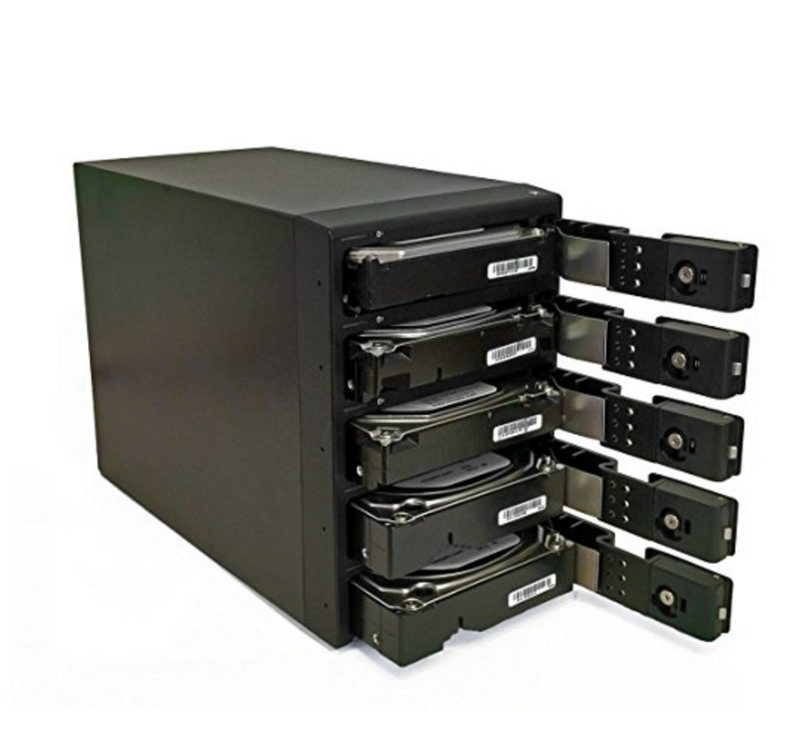 Like many of these, it will take two 2.5 or 3.5 inch bare drives, and they are held in only by gravity, which is convenient, but a bit insecure. There are some nice touches: drive activity lights for each bay, separate power switches for each bay, and an internal power supply so there’s no wall wart to deal with. OWC also makes similar boxes that have Thunderbolt connectivity, but they are substantially more expensive. 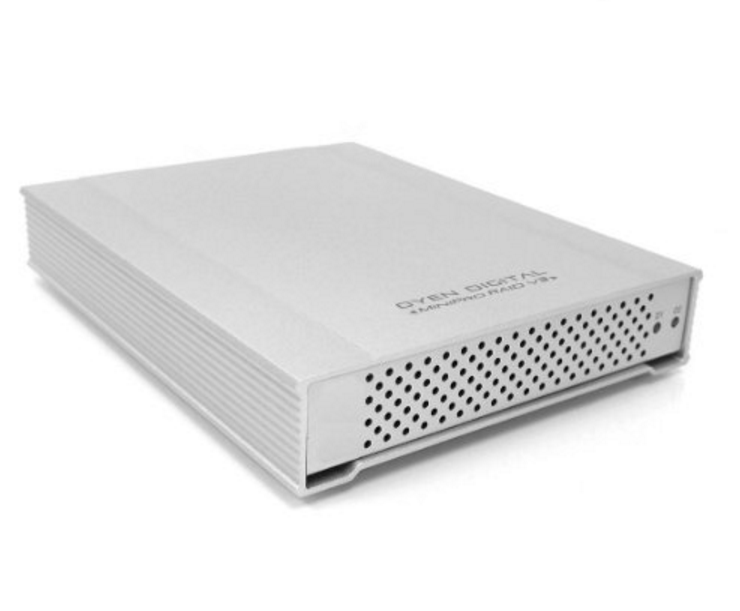 Mobius 5-Bay FireWire 800, eSATA, USB 3.0 RAID Hard Drive Enclosure — $240. This box had hardware RAID 0, 1, 5, and 10. It has worked reliably for me. What makes it special is that it takes bare drives without caddies, slides, or rails. Just slide those suckers in, close and latch the door, and they’ll be held solidly and safely in place. MiniPro RAID V3 USB 3.1 Type-C (USB-C) Dual Bay Enclosure — $100. Takes two 2.5 inch SSDs. Not the smallest solution for these drives, but appears to be solid. I use it for fast access to work in progress, but if you don’t have a lot of images, you could use it for backup. However, you’ll need a screwdriver to install or remove the drives, so that might not be very convenient. The sad thing is, the above list is it. No other USB3 solution that I’ve tried works reliably for me. I have used that dock. 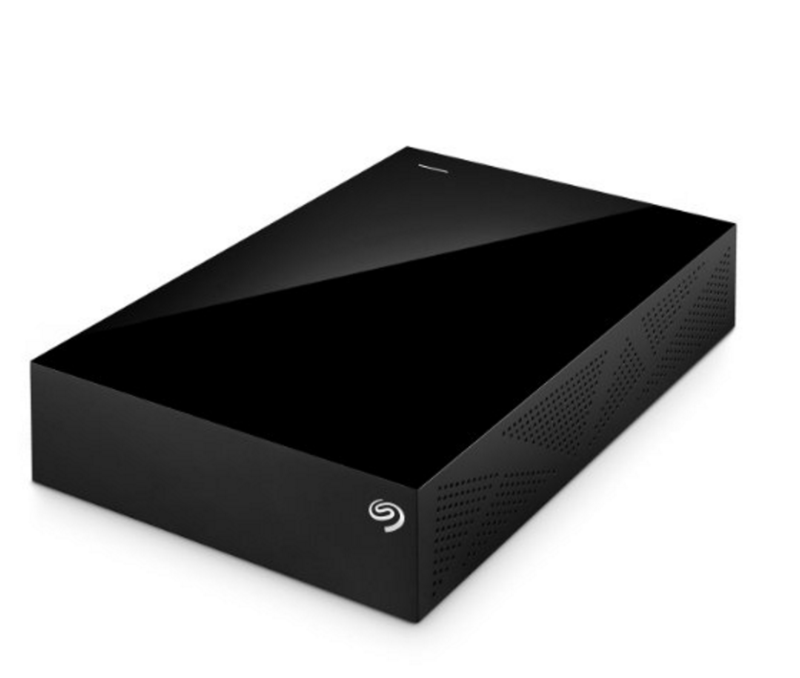 It passed the initial 8TB write test, but failed intermittently after about a month of use. I went to USB docks and bare drives after realizing that the already-housed external drives have significant additional failure modes compared to a bare drive. I lost a WD Passport because its SATA bridge went bad, and found out that it’s not as simple as opening the enclosure and plugging in the bare HD elsewhere… the SATA-to-USB on these newer external drives are all on one PCB and encrypted, so once anything on the PCB dies your drive dies barring expensive forensic reconstruction. That’s an excellent point, and one that I had not considered. I discovered the Oyen Mobius 5-bay enclosure a couple years ago and it has worked well for me. The tray-less design was precisely why I bought it after years with an otherwise great Firmtek 5-bay SATA-PM enclosure that became very difficult to transition from eSATA PM on a G5 tower to only USB-2 or FW on an aging iMac. I also use the Pluggable lay-flat dock mentioned by Robbie, about as long as the Mobius and it too has been fine. One drawback of the Mobius is transfer speed decreases when copying between drives in the enclosure. I use the Pluggable dock either as the source or destination for data going to or coming from the Mobius to avoid the internal slowdown (if I’m impatient and slightly less lazy). Also at least with Mac OSX, if you want to swap out one drive from the collection while connected by USB, all drives in the enclosure must be unmounted. Robbie: my understanding is many if not most of the 2.5″ format portable external drives now have permanently attached integrated bridges, however the 3.5″ drives do not (at least not the Seagate and WD I’ve purchased). That said, I discovered with some 3.5″ externals that if you’ve copied over data while the drive was in the supplied enclosure, then removed the drive and connected directly to a SATA connection, that the previously written data was no longer readable. In fact the drive would require reformatting to be properly recognized by the system (OSX). Thanks for your report. The part about not being able to read the drive after removal from the enclosure is worrying. Thanks for the input regarding 2.5″ vs 3.5″ and integrated bridges. As you mention, while the bridge on the 3.5″ enclosed drives may not be integrated, you are still very likely SOL if it goes bad because of unique read/write coding embedded in the bridge means they aren’t fungible, you’d need to read the data with the identical bridge (at the very least). Whereas using a docked bare drive gives you comfort it is using a vanilla SATA interface. I purchased the Mobius 5-Bay FireWire 800, eSATA, USB 3.0 RAID Hard Drive Enclosure based in no small part on this article. After cursory use, no drops so far, which is good. One concern, however, is that the drives get very warm during extended writes. The cooling is barely acceptable, and certainly is not nearly as good as other HDD enclosures that I have owned (but which would drop connections and corrupt drives). Something of which to be aware and to monitor. Good point. What rise over ambient are you seeing?